Macy’s famous Thanksgiving Day parade was modeled on the parade begun by Louis Bamberger the founder of the L. Bamberger department store in Newark. 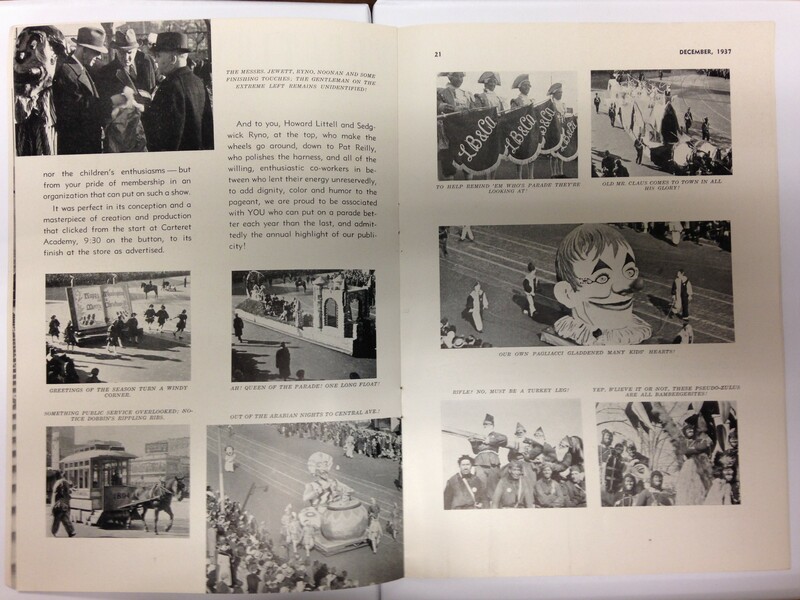 While the Macy’s parade continues to this day the Bamberger’s parade ended in 1957. At it’s height the Newark parade was equal to any in New York. 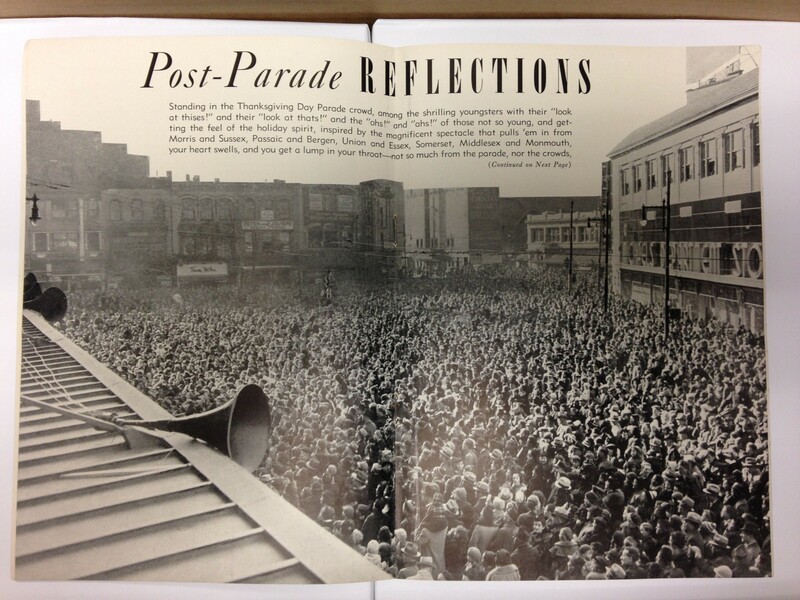 Counter Currents, the magazine that was printed monthly for the employees of Bamberger’s Newark featured the parade in the 1937 holiday issue.